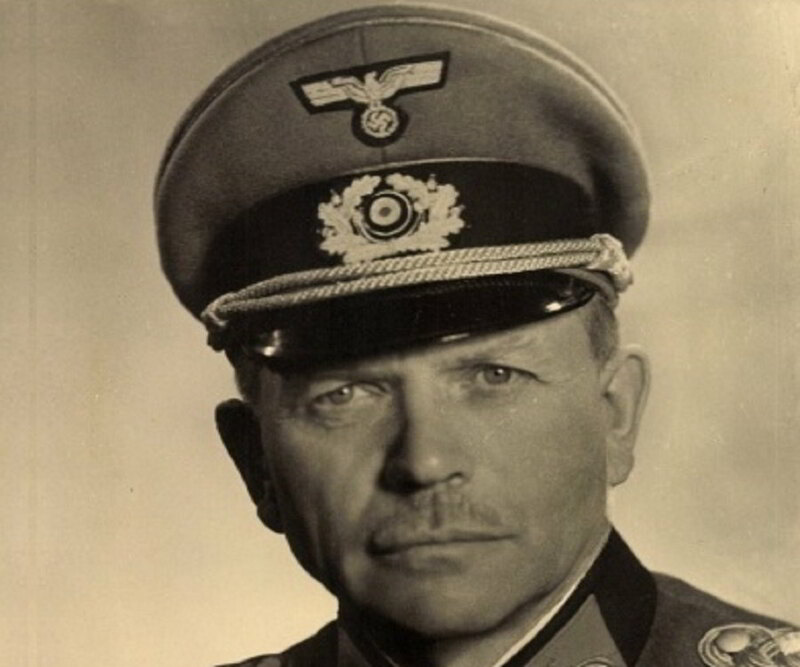 Heinz Guderian was a German general of the ‘Nazi’ era, primarily associated with the development of the “blitzkrieg” method and armored warfare during the Second World War. Guderian was a tank expert and a military genius. He led his unit to successfully invade the Soviet Union and Poland. The German armed forces also emerged victorious in the Battle of France and Operation Barbarossa in his presence. He was also the brain behind the spread of radio communication among tank crews. He also implemented the efficacious shock strategy. A revolutionary in the field of modern warfare and strategies, Guderian was one of the first officers to put air power to use. It helped Germans win wars across Europe. In 1935, Hitler was impressed with his ideas and helped him implement them in the ‘Panzer’ (armed forces). 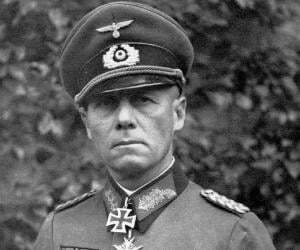 He was soon appointed as the ‘Chief of the General Staff’ but due to Hitler being in control of the whole staff, Guderian did not have much to do. In 1945, he was dismissed from the army. 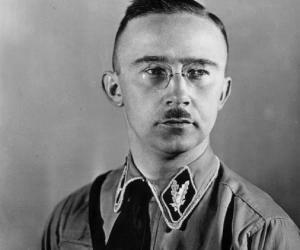 He spent the remaining part of his life serving as the advisor of the military in West Germany, before he died in 1954. 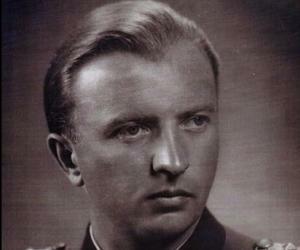 Heinz Wilhelm Guderian was born on June 17, 1888, in Kulm, West Prussia, now Poland, to Friedrich Guderian and his wife, Clara. His father was a colonel in the Prussian army and one of reasons behind Heinz’s entry into the army in 1907. Guderian attended the ‘Principal Cadet School’ in the Gross-Lichterfelde area in Berlin. He was known to be quite a charmer but was also focused and serious about his studies. He was also the youngest officer to attend a 3-year program at the ‘War Academy’ in Berlin. This happened after he had entered the German army as an officer. He started as a light infantry officer in the ‘Tenth Battalion’ in the army. As a young officer, he was quite interested in trying new things, and often indulged in riding horses and hunting. To help him train better, he was soon transferred to the ‘Third Telegraph Battalion’ (1912). He worked as a communication specialist in the radio-signal department. He became fluent in French and English and continued learning about the military. He trained himself too well and worked diligently. He was the youngest officer to be trained at the ‘War Academy’ in Berlin. He was nicknamed “Schnelle Heinz,” meaning “Quick Heinz.” He earned this nickname because he climbed the stairs of success quickly. The First World War began soon after the assassination of Archduke Franz of Austria in Sarajevo. During this time, he was worked with the initial wireless technology which was not easy to understand. In 1918, with the onset of the First World War, he started working as a signals officer in the ‘5th Cavalry Division.’ He was appointed to the ‘General Staff Corps’ in the later stages of the war. He was next sent to serve as a staff officer with the ‘Eastern Frontier Guard.’ The wars between the Bolsheviks and the Poles on the Eastern Front were brutal. After returning from the war, he started teaching military tactics and also got his articles published in military journals. It was concluded from his articles that Guderian’s thinking was such that he could solve most complicated issues quite easily. In 1922, he became the inspector of motorized troops and started studying about tanks and interviewing tank units. He became fascinated with the ideas of British military theorists JFC Fuller, Giffard Martel, and BH Liddell Hart on mechanized warfare. He was also employed as a teacher of tank tactics as a result of his growing interest in the subject. He studied almost all the information available about tanks. Although he developed theories and ideas about bringing armored warfare into existence in 1929, it did not come to fruition until the 1930s. In 1930, he got the opportunity to become the commander of a motorized battalion. 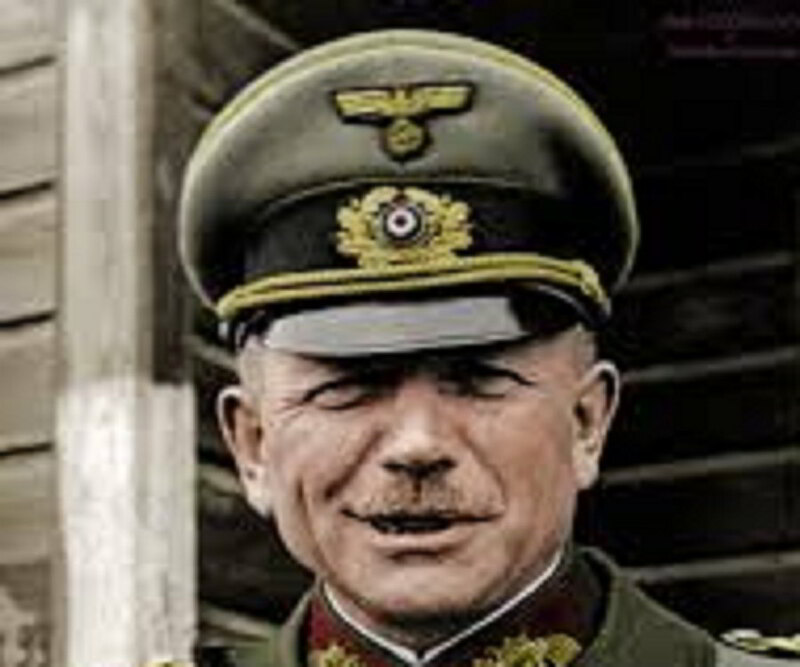 In 1934, he became the chief of staff of the ‘Motorized Troops Command,’ and a year later, in 1935, he took over the ‘2nd Panzer Division’ (one of three). Around the same time, Guderian received massive support from Hitler in bringing his theories into practicality as the latter pushed Germany toward war. He introduced the term “blitzkrieg” or “lightning war,” a tactic of overwhelming a country by air as well as by land. With “blitzkrieg” working successfully, Hitler’s army forced its way through France and other European countries. The Germans achieved massive success, turning Guderian into the man of the moment. Guderian did not agree with the idea of invading Russia initially but later gave in. With major victories in Minsk and Smolensk, the German army achieved a lot in a limited amount of time. This was a lot compared with what they had achieved throughout the ‘First World War. However, these victories also gave rise to a lot of chaos and disagreements. After giving in a few times, Guderian refused to follow Hitler’s orders when he was told to tolerate the harsh Russian winter. He pulled back his forces instead. This resulted in Hitler dismissing him. 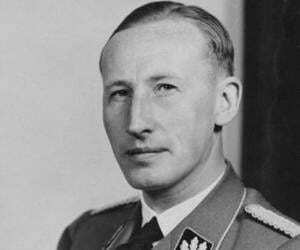 However, he was recalled by Hitler in 1943 to take up the position of the inspector general of the ‘Panzer’ army, after the forces were unable to maintain order among themselves. On July 21, 1944, after the plot to assassinate Hitler on July 20 failed, Guderian was appointed as the chief of staff of the army. 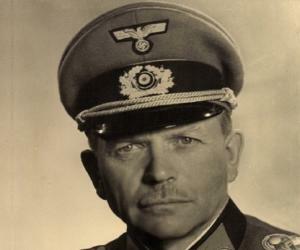 It was said that Guderian knew about the conspiracy against Hitler but had no direct involvement in it. With Hitler’s profound interest in capturing Russia, Guderian only focused on defending the Eastern Front. Hitler’s ways assured Guderian that Germany would lose to Russia. He started disagreeing with Hitler, which resulted in his dismissal on March 28, 1945. On May 10, 1945, he was captured by the American forces. Following this, he spent most of his time writing articles on his experiences in the German army. He was released in June 1948, at 60 years of age. Guderian was also a well-appreciated writer. His book ‘Achtung-Panzer! : The Development of Armoured Forces, Their Tactics and Operational Potential’ became a bestseller. After he was released by the US forces, he wrote his memoir, ‘Panzer Leader,’ another internationally renowned book. He was awarded the ‘Royal Hungarian War Memorial Medal with Swords’ in 1937. He was also honored with the ‘Order of St. Sava 1st Class’ in 1939. They had two sons, Heinz Günther and Kurt. After his memoir was published, Guderian’s health started deteriorating rapidly. He breathed his last on May 14, 1954, in Schwangau, near Füssen, Germany.